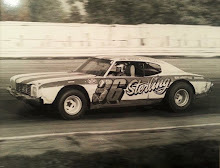 May 2 – The second week of action at the Scotland County Fairgrounds in Memphis, Mo., proved much better for Steve Fraise of Montrose, Iowa, than the first week. Having blown a motor in the season opener while leading the late model feature race, Fraise led flag to flag for his first victory of the season on Friday night. 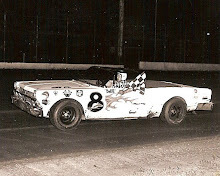 After taking the lead from his outside pole position, Fraise would eventually widen the gap on second place finisher Lem Blankenship of Keokuk, Iowa. Holding down the third spot was Johnny Johnson of Morning Sun, Iowa. Kenny Fenn of Washington, Iowa, would slip by Jim Swank of Hamilton, Ill., on the final lap to nail down fourth. May 2 – Tom Hearst of Wilton, Iowa, won the NASAR late model feature at Hawkeye Downs Speedway season opener in Cedar Rapids, Iowa, on Friday night. Hearst held off defending NASCAR point champion Gary Crawford of Independence, Iowa, for the win. Crawford held an early lead in the race, but relinquished that lead to Hearst on the 17th circuit. 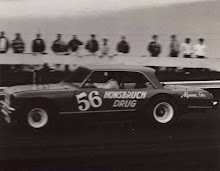 It was Hearst’s first-ever feature win at Hawkeye Downs. Following the pair were veterans Mel Morris of West Liberty, Iowa, Roger Dolan of Lisbon, Iowa, and Ken Walton of Viola, Iowa, who made an outstanding run during the 25-lap event, after starting dead last in the 21-car field. May 2 –Ferris Collier made a surprise visit to Lakeside Speedway in Kansas City, Kan., on Friday night and went back home to Lampe, Mo., with the lion’s share of the $3,000 purse. 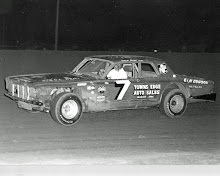 The seventh-starting Collier waged a brilliant battle with Rick Beebe of Overland Park, Kan., and Gene Claxton of Kansas City, Mo., before taking over the top spot on lap 16 and then winning comfortably. Claxton finished second; Beebe took third, Tim Trimble of Slater Mo., and Andy Claiborne of Shawnee Mission, Kan., earned fifth. May 3 – Mike Brooks of Knoxville, Iowa, broke a four-year-old track record in qualifying and then won the 20-lap feature in sprint car action at the Marion County Fairgrounds in Knoxville, Iowa, on Saturday night. Brooks toured the half-mile in 20.22 seconds, bettering Joe Saldana’s one-lap mark by .27 seconds. In the feature, Brooks would start sixth but inch his way to the front, eventually passing Randy Smith of Norwalk, Iowa, on lap 15 for the lead and the win in the season opener. Smith would hang on to second with Tom Corbin of Carrollton, Mo., in third, John Stevenson of St. Paul, Minn., in fourth and Shane Carson of Oklahoma City rounding out the top five. May 3 – Dan Nesteby of Waterloo, Iowa, made a clean sweep of late model action at the Hamilton County Fairgrounds in Webster City, Iowa, on Saturday night before a near sellout crowd. Nesteby won the trophy dash, first heat and then led start to finish in the feature. 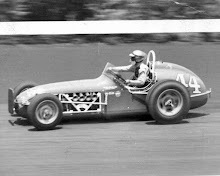 Jerry Holtkamp of Williams, Iowa, would take second in the 25-lap event but never got close enough to the winner to apply any pressure. Bob Hill of Randall, Iowa, finished third followed by Kenny Farrell of New Hampton, Iowa. In sportsman action, Ray Kinnetz of Webster City also made a clean sweep, scoring the victory in his heat and then winning convincingly in the 15-lap feature. May 3 – Kenny Fenn of Washington, Iowa, put his Chevy out front at the drop of the green and led green to checker in the late model contest at Wapello County Fairgrounds in Eldon, Iowa, on Saturday night. Another pair of Washington, Iowa, pilots, Denny Banks and Tony Stewart, put on a tremendous battle for the runner-up position for most of the race until they tangled with 4 laps to go, sending Stewart to the pit area, and allowing Randy Harrison of Memphis, Mo., to pass Banks for second. Banks would hold on for third spot. May 4 – Lenard McCarl of Des Moines won the sprint car feature and Mike Niffenegger of Kalona, Iowa scored the late model victory to highlight the three-day “Iowa Spring Spectacular” at the Iowa State Fairgrounds in Des Moines on Sunday evening. McCarl, a veteran sprint car builder, sat on the pole position and led the entire 20 laps to collect the $600 first prize. Another pair of veterans, Bill Utz of Sedalia, Mo., and Sonny Smyser of Lancaster, Mo., finished second and third respectively. Niffenegger held off a stubborn Verlin Eaker of Mechanicsville, Iowa, to win the 25-lap late model main event and collected $750 for his efforts. Pete Parker of Kaukauna, Wis., took third, followed by Tom Hearst of Wilton, Iowa, and Ed Sanger of Waterloo, Iowa.